7 Dinner Shortcuts That Will Save You Time! Regardless of how you feel about cooking, nobody wants to be a slave to the kitchen. We are all so busy these days that we need as many shortcuts as we can possibly find for getting a good home-cooked meal on the table with the minimum amount of stress! It’s no good to find yourself at the end of a crazy day standing in front of the fridge praying for inspiration to hit as you try to figure out what to feed the hungry people in your house. (That’s the danger zone where you’re likely to pick up the phone and call for pizza, don’t do it! 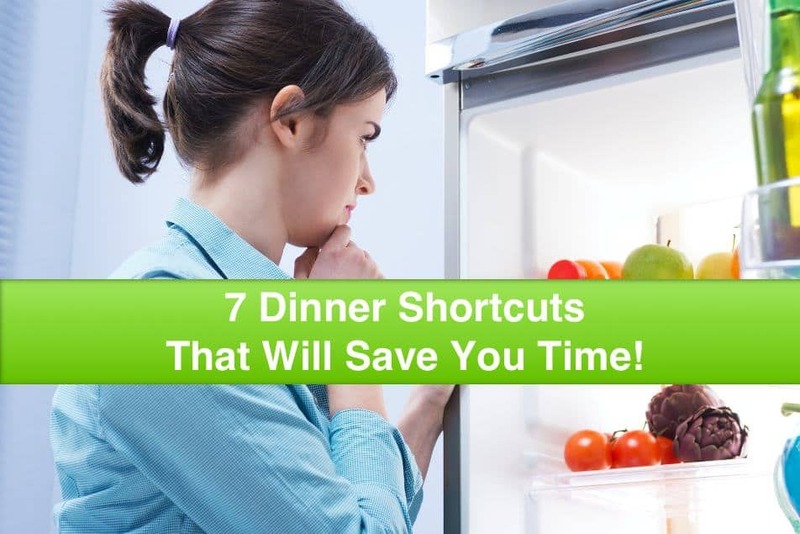 Here are 7 shortcuts to help you get your evening meal under control! 1. Crock and roll. Dust off the crockpot and put it to work. This ultimate shortcut appliance can save you a ton of time on dinner prep. Assemble your crock ingredients in the crock liner the night before and refrigerate the works overnight. Then, all you need to do in the morning is plunk it in and plug it in! 2. Marinate meat before freezing. How many times have you gone to make a recipe and realized that you have to marinate the meat for several hours first? When you’re freezing your chicken, beef or pork, freeze it along with a marinade. That way, it will get good and tasty while it thaws, and you’ve saved a step. Oh, and that thaw? The new way to thaw is in a sink full of hot water—yup, it’s safe! 3. Cook more than you need. If you are cooking a meal for two, you might as well cook for four. Cooking for four? Why not cook for eight? That way, you have a double dinner! 4. Parchment paper. If you don’t already use parchment paper to line your pans before you bake or roast something in the oven, you’re working too hard on clean up! This oven-safe paper will cut your scrubbing in half! Boom! 5. Chop the veggies beforehand. Wash and cut that broccoli and cauliflower after you get it home. Same goes for making pepper strips, slicing mushrooms and peeling Brussels sprouts. Do that work all at once (or even better, put the kids to work!). 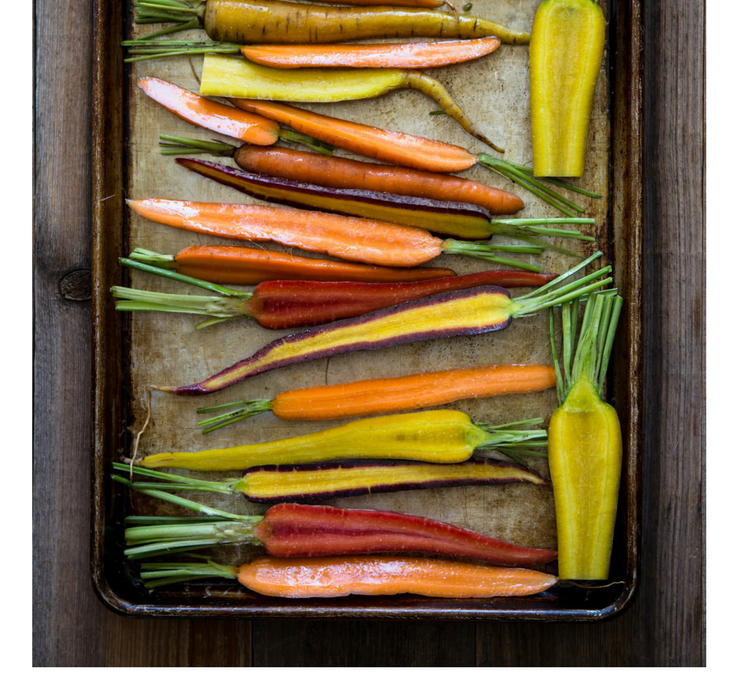 Place all those veggies in zipper bags and you have grab and go veggies that you can either snack on raw or quickly steam for a side dish. Keep carrot sticks and celery sticks in a bowl of water in the fridge (keeps them fresh! ), and let the kids help themselves when they need a snack. 6. Go with salad. Making a big raw salad is much quicker than any other side dish you can possibly think of! And if you have some leftover protein, voila, there’s a quick dinner! 7. Plan ahead. This would arguably be the number one shortcut when it comes to getting dinner under control. Planning your meals for the week puts you in complete control of the dinner table. 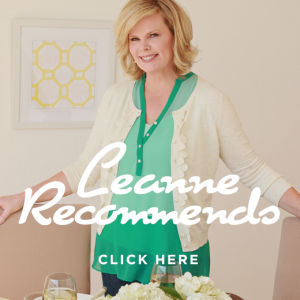 We created the original meal-planning service on the Internet with our Menu- Mailer. We provide you with a menu for the week, along with recipes and shopping lists! Thousands of people are currently hooked on this service. Red, yellow, green or orange? Not all bell peppers are created equal. First there are the colors – red, orange, yellow, and green are the most common. Second is the flavor – from sweet to hot. It is all from the same plant. The only difference is when they are picked. As the pepper gets riper, it gets not only a better taste, but it also gets more nutritive value. 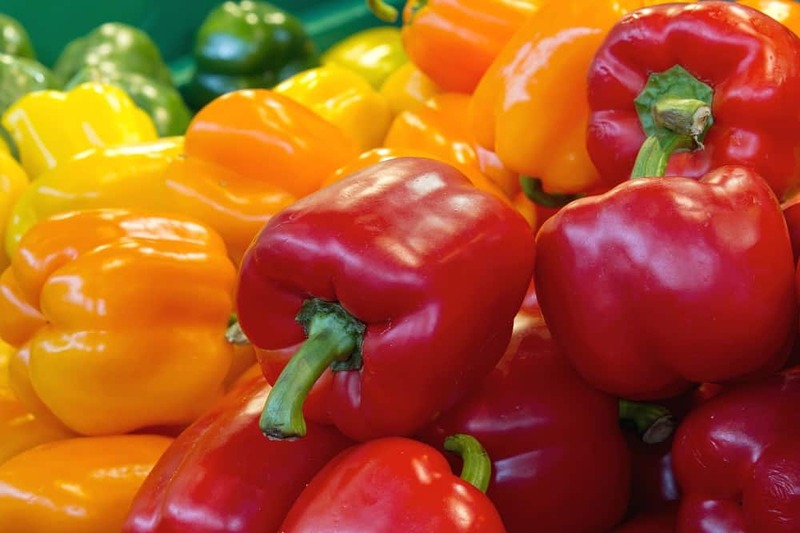 A red pepper is actually a fully ripened green pepper with a milder flavor. 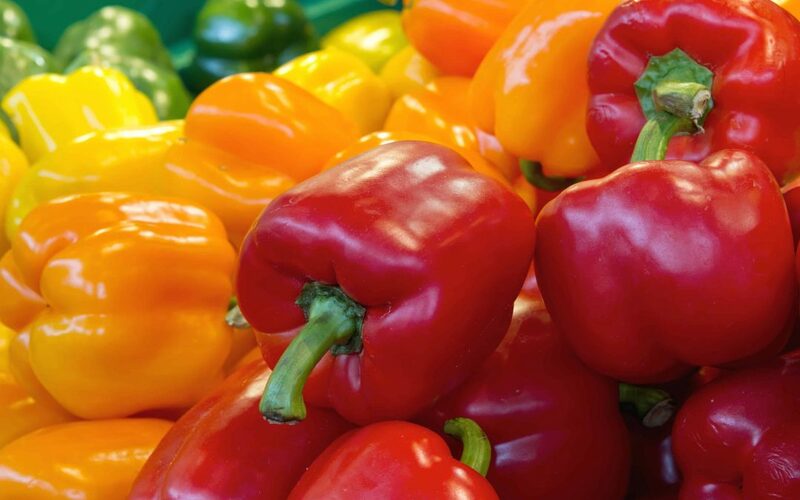 Bell peppers freeze well without being blanched, but it is better to wash them first. For maximum flavor and nutritional value, store them whole. Sweet peppers lend themselves well to drying and keep at least 1 year when dried. They are also good marinated. Red pepper has more vitamin C than oranges and are also high in beta-carotene. Slice the tomatillos in half lengthwise, and place cut-side down in a baking dish. Roast under the broiler 6 to 8 minutes, until skin takes on a darker color. Remove from the oven and let cool. In a food processer, add cooled tomatillos, chopped onion, garlic, lime juice, jalapeños, salt, pepper, and cilantro. Blend until a puree is formed. Pour this mixture into a small freezer bag, remove excess air, and seal. In a small mixing bowl, mix together cumin, chili powder, and paprika. Sprinkle this mixture evenly over chicken breasts. Place seasoned chicken in a freezer bag, remove excess air, and seal. In a final freezer bag, place sliced onion and bell peppers, remove excess air, and seal. Defrost your freezer meal the night before in the fridge. If you don’t have a full thaw at cooking time, remove it from the holding bag and place it in a sink of water to speed-thaw your food. New rules allow for thawing in hot water (100 degrees) with no issues regarding quality or safety (old rules said to use cold water for thawing, but this is no longer necessary – hot water is fast, effective and safe). In a large crock cooker, add half of the tomatillo puree. Place chicken breasts on top of tomatillo puree. Add all vegetables and the rest of the tomatillo puree. Cover and cook on high for 4 hours until chicken is cooked through. Remove chicken from crock cooker. With two forks, remove chicken from bone and shred. Return chicken to crock cooker and mix well. Serve in romaine lettuce cups topped with fresh avocado. Dinner Answers will give you what you need to get all your meals on the table, pronto. Click here! There are two types of grocery store shoppers in the world. There are those who navigate the exterior of the market, list in hand, confidently reaching for fresh ripe produce, organic meats, probiotic dairy items and other healthy exotic ingredients. They stand at the check out, proud of the items they’ve selected, ignoring the strategically placed candy bars next to the magazines. Then, there are the shoppers who spend a great deal of time in the freezer section, focusing on convenience and price over nutrition. Those carts are full of packaged foods, “fat-free” this and “sugar-free” that . . . foods full of GMOs and empty calories. There might be some apples, carrots or potatoes, but above that, these carts are generally sparse of produce. When convenience shoppers find themselves behind healthy shoppers at the check out, they may have shopping cart envy. They might wish they knew what half of those healthy items are and what they would do with them if they had the courage to buy them. They may also be aware that their own cart is being quietly judged by the healthy shopper in line behind them. 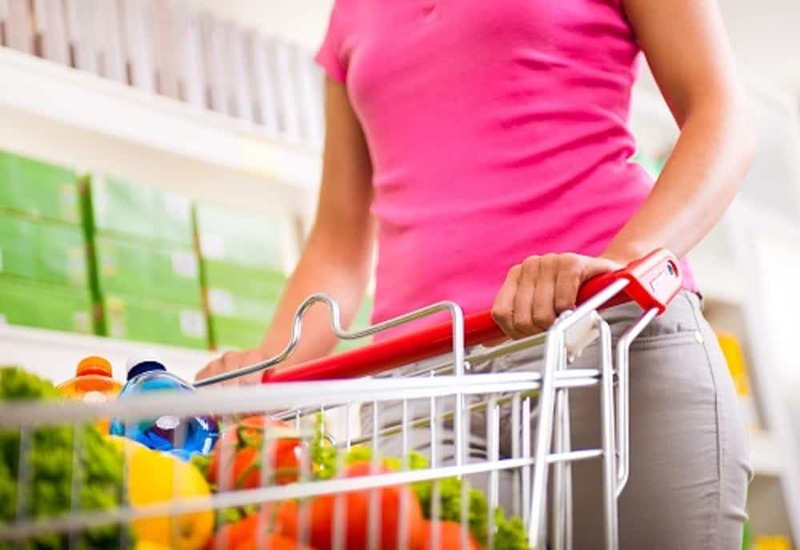 Yes, there are generally two types of shoppers, though they may be at various extremes of this convenience vs. healthy spectrum. If you find yourself suffering from cart envy and are trying to get yourself closer to being that healthy shopper, first of all, hats off to you. You should be proud of yourself for wanting to buy healthier foods for you and your family because you recognize that the convenience foods are not contributing to your well being. If you want to be the one making other shoppers envious of your cart, just go ahead and make the decision to cut out the packages. 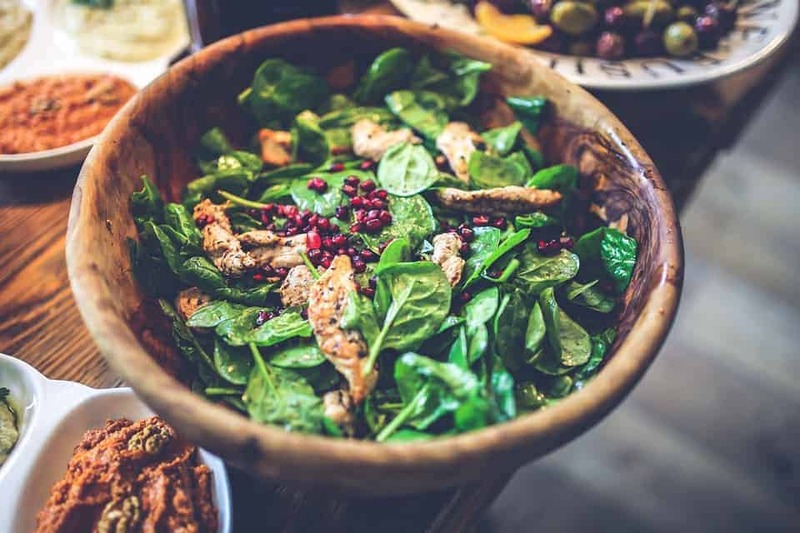 When you commit to preparing your family’s meals from scratch, you naturally have to bulk up on fresh ingredients because you will no longer be able to rely on those processed foods. We make eating like this EASY with our brand new Dinner Answers. (Lucky for you, our Dinner Answers membership is on sale right now!) Everyone in the store will be envying your shopping cart! It’s time once again for Tricks, Tips and a Recipe. Today you’ll learn a tip, a trick and you’ll get a great recipe to try it out with. Isn’t that great? 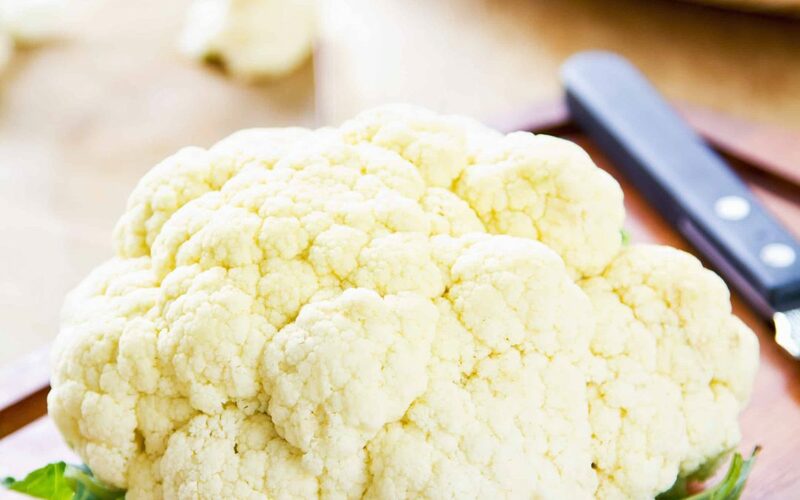 Also known as Cabbage Flower, cauliflower is a member of the Brassica family of veggies, well-known for their cancer fighting capabilities. Mon petit chou means (in French, chou is pronounced “shoe”) “my little cauliflower” and is a term of endearment! How do you like that? In a large skillet, cook bacon over medium heat until dark brown and very crisp, about 15 minutes. Remove from skillet and drain on a paper towel lined plate; set aside. Melt the coconut oil in a large skillet over medium heat. 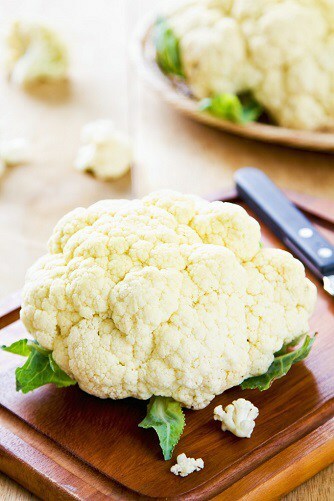 Add cauliflower, shallot, salt and pepper; cook for 10 minutes or until cauliflower is slightly tender. In a large bowl, combine bacon, cauliflower mixture and avocados. In a small bowl, whisk together honey, lemon juice and olive oil; pour mixture over bacon/cauliflower stir-fry. Serve stir-fry over a bed of baby spinach. Want more great recipes like this one? (you know you do!) check out our new Dinner Answers here!